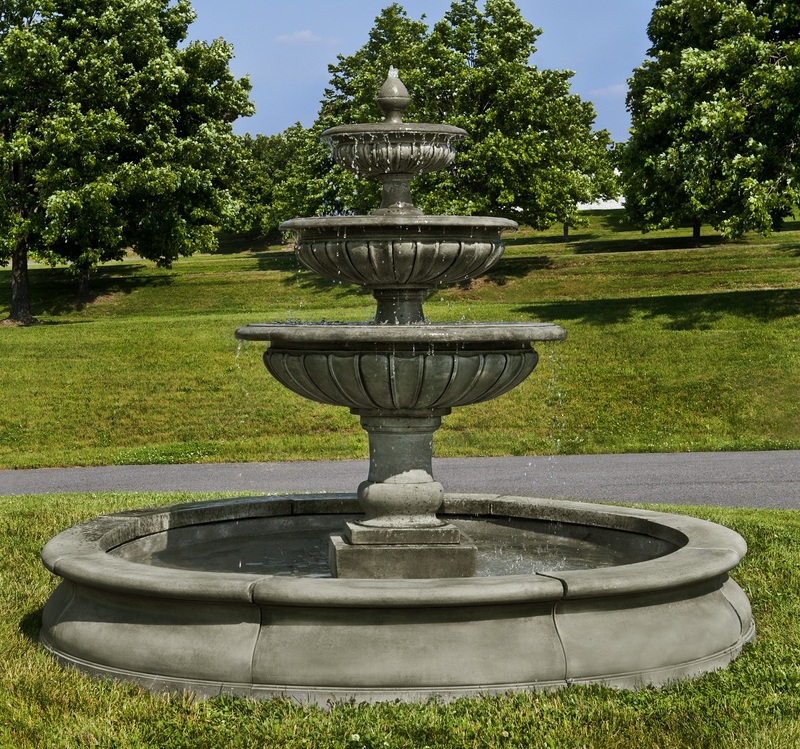 This grand-scale Estate Longvue Fountain has three round tiers for water to pour off of, and an enormous 8 1/2-foot wide basin to spill into. Also available as a smaller two-tier fountain or three-tier fountain, without the basin. DIA 104" H 80.5" | 3744 lbs.